When you think of the word artisan or artisanal what images does it conjure? A talented craftsman slaving away over their delectable creations? Or a fancy gift shop filled to the brim with ‘artisanal’ products? This week I was doing some market research and couldn’t help but notice the plethora of products that are claiming to be artisanal. So, I looked it up (thank you Google), just to make sure I wasn’t incorrect in saying that some of them are stretching the truth. Artisanal – a food or drink that is made in a traditional or non-mechanised way using high-quality ingredients. Artisan – a worker in a skilled trade, especially one that involves making things by hand. Artisanal foods have a growing reputation of being very premium and expensive; here at Mad Millie, we think artisanal foods should be accessible to everyone! Generally, the main secret is they take a bit of time, effort and creativity – all of which are so appreciated by the receiver and very achievable with Mad Millie kits. If you’re struggling for gift ideas or have been put off all the delicious artisanal foods because of the price tag, we highly recommend the below. 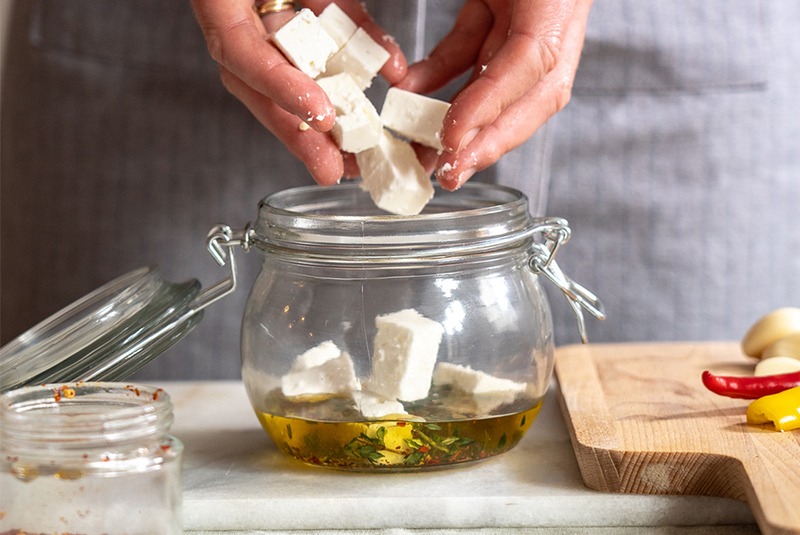 Using your Mad Millie Fresh Cheese Kit, or Vegan Cheese Kit, a jar and some tasty additions, you’ll be wrapping up some divine marinated feta for all your family and friends in no time. The beauty of this recipe is it can be adjusted as much or as little as you like. If you don’t have the specific ingredients required, substitute them with others! 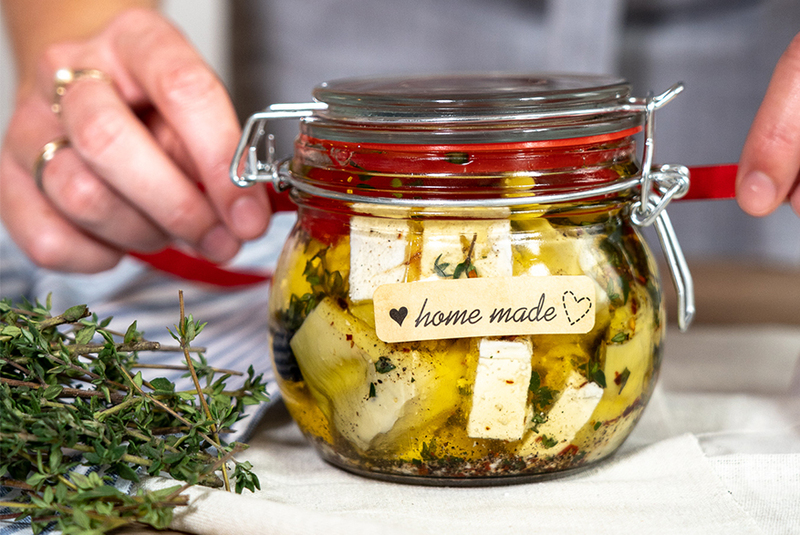 Don’t have the right size jar, increase or decrease as desired! Instead of spending a fortune at the fancy food shop, why not show everyone just how easy it can be with a bit of organisation. The hardest bit about this recipe is refraining from keeping it for yourself. 1. Measure the olive oil into a bowl with the thyme, garlic, chilli and black pepper. Give it a good stir to begin the infusion process of the oil with all the delicious flavours. 2. 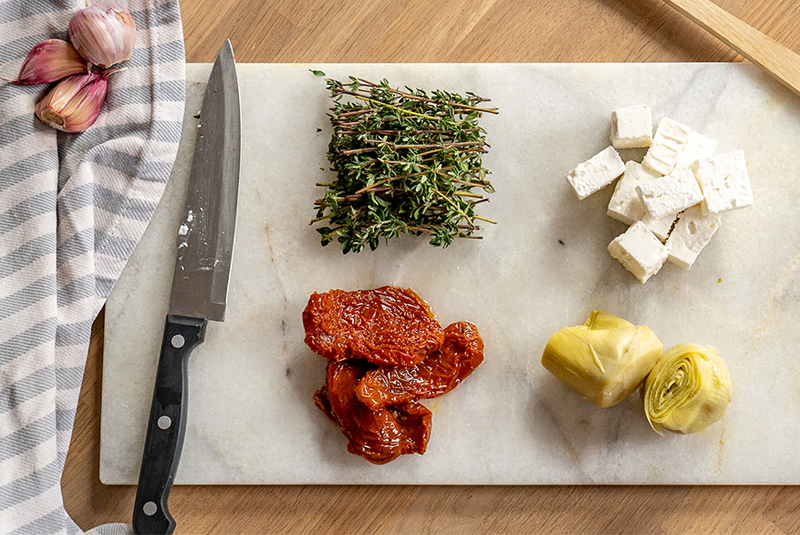 Slice the dried tomatoes and artichoke hearts into smaller pieces (halves is good). 3. 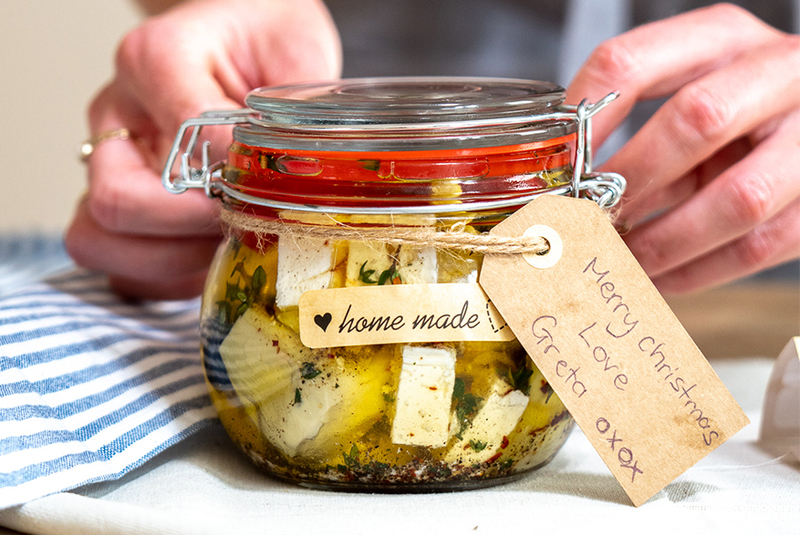 Cut your feta into blocks (2 cm x 2 cm) and arrange it into the jar with the dried tomatoes and artichoke hearts. 4. 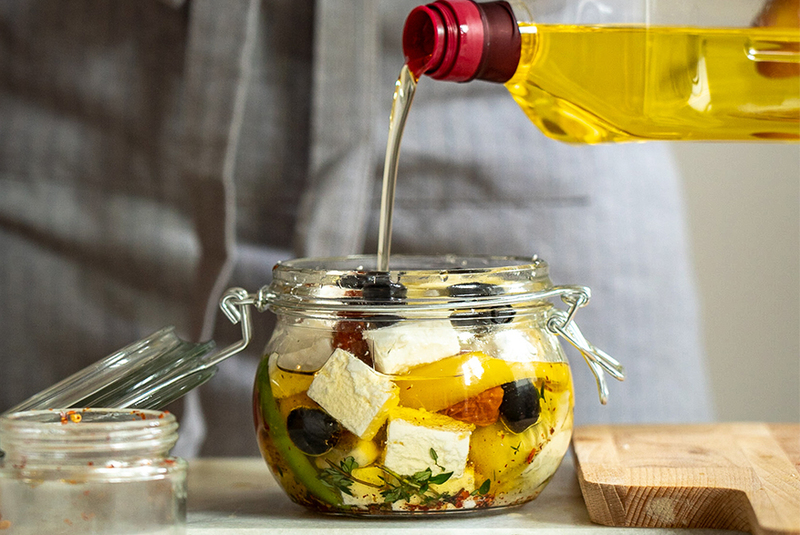 Pour over the infused oil, ensuring all the bits end up in the jar, top up with extra olive oil if required. 5. Leave to marinate overnight before consuming. This will last up to a month in the fridge so can be made for Christmas Day in the next week or so.